Xiongan New Area in Hebei province - a State-level economic zone set up last year to reduce Beijing's non-capital functions - is aiming to run on 100 percent clean power. The region, located around 100 kilometers southwest of the nation's capital, will see its energy mix optimized, and act as a guide and demonstration hub for clean heating in the north, said Guo Zhi, chief economist with the National Energy Administration, during the international clean heating exhibition 2018 held in Xiongan on Saturday. The administration has attached significant importance to clean heating in the country's northern regions, and will continuously urge local authorities to step up clean heating implementation plans with policy and market guidance, Guo said. Natural gas, together with biomass, geothermal and solar energy, will be encouraged in Xiongan, said Xie Qiuye, head of the China Electric Power Planning and Engineering Institute. Peng Peng, secretary general of the China New Energy Investment and Financing Alliance, an industry group, said the new area is "a blank page on which it's easy to design", and will act as a guide for existing cities to refine their infrastructure. China has vowed to have clean energy generate 50 percent of winter heating in its northern regions by 2019. That would replace 74 million metric tons of coal that year. The percentage will increase to 70 percent by 2021, replacing 150 million tons of coal annually. 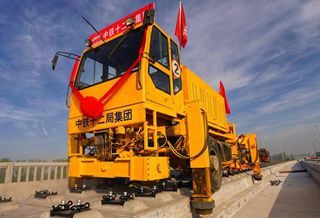 The country's centrally administered State-owned enterprises have committed to support construction in Xiongan New Area. China Petroleum and Chemical Corp said it would increase investment into geothermal energy in the region. China National Petroleum Corp and China National Offshore Oil Corp have promised plentiful supplies of clean energy. State Grid Corp of China has already established a subsidiary to facilitate grid-planning. Xiongan New Area will initially cover 100 square km and later cover Xiongxian, Rongcheng and Anxin counties in Hebei province, eventually taking up 2,000 square km.